Great barbecue means one thing: slowly cooking meat at a low temperature for hours to create an eating experience unlike any other. Layers of flavor trapped deep inside of meat that falls off the bone. The Pyro Tower lets you combine your favorite variations of wood and/or charcoal with multiple techniques to truly craft your meal. This isn't some "set it and forget it" operation. This is where a Caveman becomes a Master of Fire. Unlike any other dedicated wood or charcoal smoker, when you're done cooking the Pyro Tower quickly converts into an outdoor fireplace so you can make some S'mores for dessert. 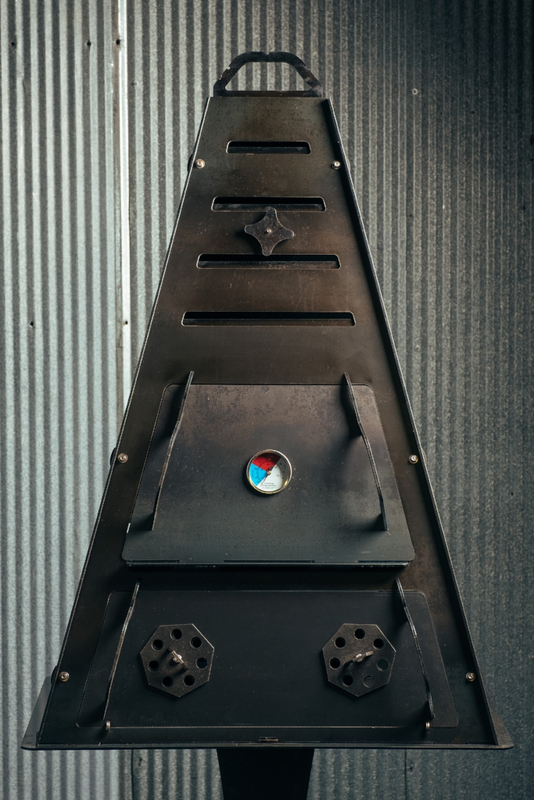 The unique design of the Pyro Tower make it a one-of-a-kind vertical smoker. 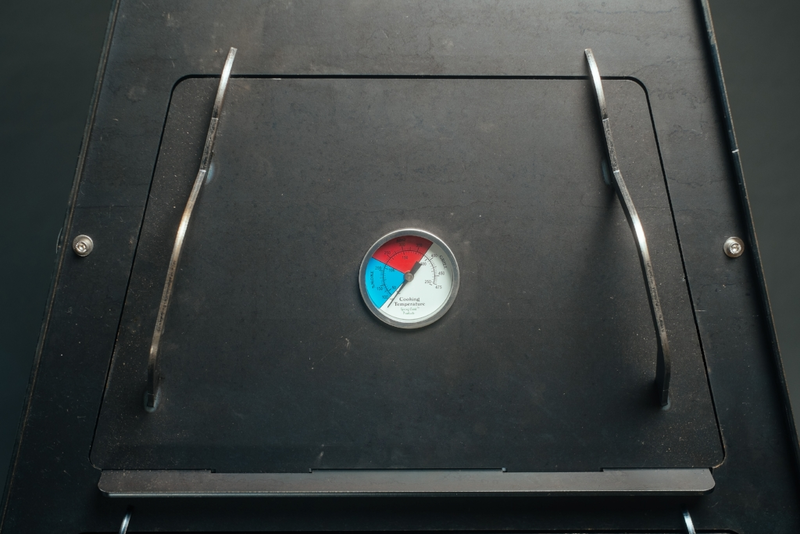 The Top Door with Thermometer encloses the top chamber of the Pyro Tower to hold the heat in while cooking. The large 3" thermometer is easy to read for accurate temperatures. 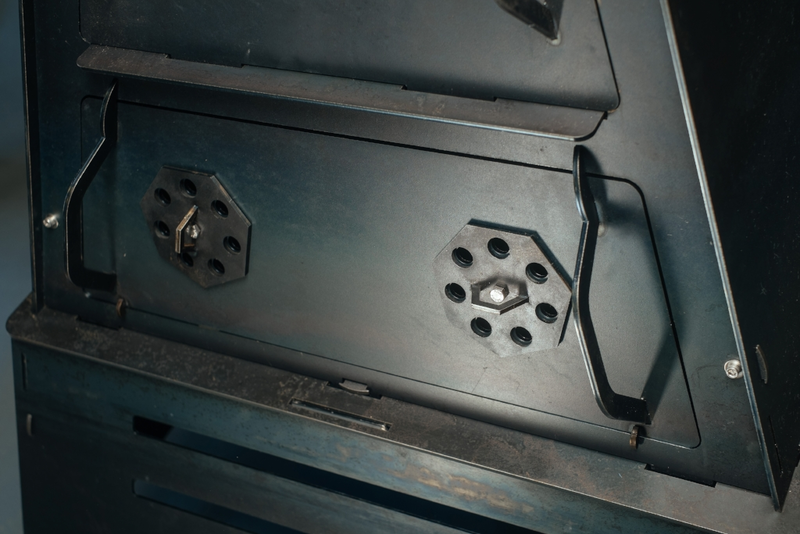 The bottom doors include adjustable air vents to help control the air flow to the bottom chamber. This helps to feed or damper the fire to regulate the temperature of the coals while smoking. 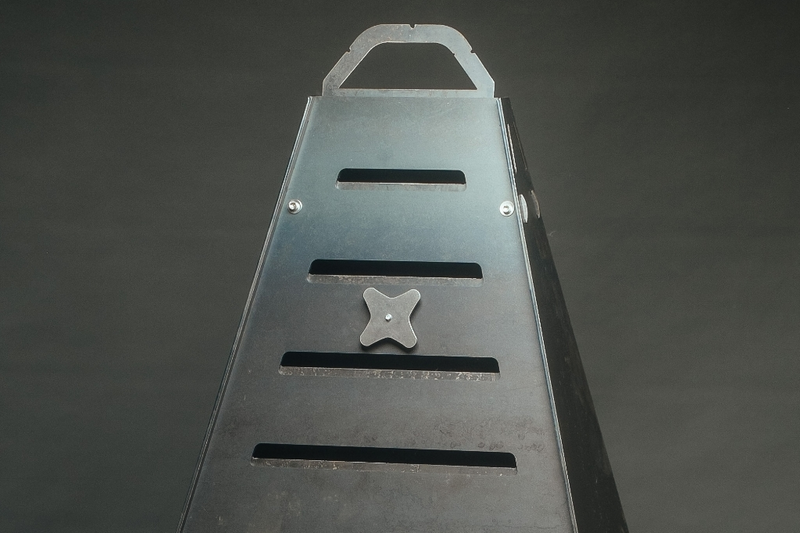 The adjustable louver installs behind the upper vents of the Pyro Tower and is used to control the airflow through the top of the tower to help regulate the temperature in the cooking chamber.